For your Mt.Fuji tour, one of our certified veteran guides will guide you. Some standard courses are shown on the “Mt.Fuji Tour Courses ”. Just select one of them. The guide fee is shown at the bottom of this page. If you’d like, we can tailor your tour according to your wishes.You will find your interesting site on the Popular Sites in Mt.Fuji area. Please let us know anything you would like to see or do using theContact Us page. Mt. 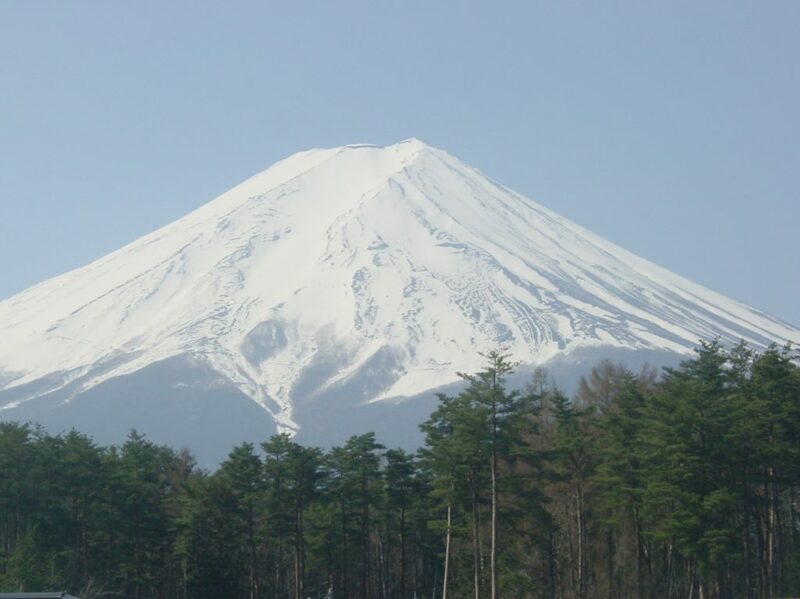 Fuji is located about 2.5 hours by bus or bus/train from Tokyo. You can enjoy climbing to the top of Mt. Fuji in the official climbing season. However, in this tour you will go up tothe 5th stationat an elevation of 2,300 meters by bus. After the tour to the 5th station, you will visit the Kawaguchi lake and enjoy beautiful scenery of Mt. Fuji from sightseeing boat or ropeway, visit caves such as ice, bat or wind, or visit Oshino Hakkai(the eight springs )area like a pilgrim in old days. If you have more time, I recommend you visit some shrines or historical sites designated as components of World Heritage, Fuji san. A guide will attend you from your hotel in Tokyo according to your request. If you need a car or bus, please let me know. The road to the 5th station is closed due to ice or snow fall in winter and early spring. Your guide will let you know the road conditions in advance. Though you can’t reach the 5th station in winter, the season has the highest possibility to be able to view the beautiful & clear Mt. Fuji in this tour. Transportation fee In case you need a bus or car, please let me know. In case you use public transportation from Tokyo, please refer to the ticket fee below. Bus around Kawaguchi Lake; roughly 1,400Yen (per person), can be changeable depending on the sites you want to visit. If you hire taxi to caves or others, you are supposed to pay 6,900Yen/hour for 4 persons. Fee for Children under 12; all half of the fee above. Excluding your transportation, admission fees and lunch. The fees of transportation, admission and lunch for your guide are included in the guide fee above.